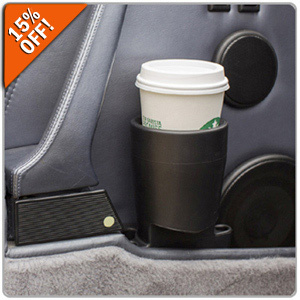 15% Off Cup A Holder for Porsche and BMW! Designed with simplicity, convenience and Porsche styling in mind, Cup A Holder holds most cups, glasses and water bottles within the door pockets of your 1974 - 1994 Porsche 911 or E30 BMW! Take 15% OFF When you enter Promo Code CUP15 during Checkout.